Here’s a tool that will help you accomplish more in your business without working harder. 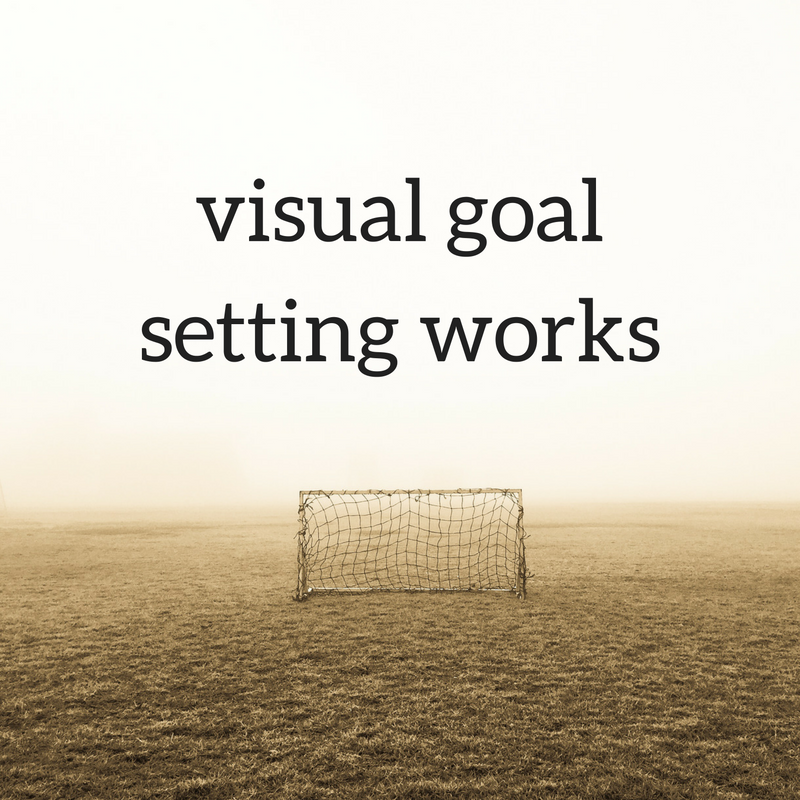 I’ve started using visual goal setting. It’s way more fun and creative than your usual quarterly goal setting. If a to-do list and a vision board had a child, it would be this method. The chalkboard method was created by life coach Jay Prior. I learned about it from Kathleen Shannon and Emily Thompson of the podcast Being Boss. It’s a way to create intentionality, and it uses the principle “that which is measured improves.” -Karl Pearson (at least he’s one person who said it). It’s really working for me. I’m hitting my goals and staying inspired every day. What is the chalkboard method? Your “chalkboard” or "goal board" doesn’t need to be an actual chalkboard. You can use a big piece of paper or poster board, a chalkboard or a dry erase board. Your board should be big and visible in a place where you’ll see it every day. My “chalkboard” is a big piece of paper taped up to the wall. Fill my practice with an average of 20 sessions per week. Earn an average of 12,000 per month. Consistently fill my therapy group. Then you write a few words that will set the tone for the next three months. Choose words that represent the values you most want to lean into. Use markers or chalk in your favorite colors. Use illustrations wherever you can. It doesn’t matter if you’re not a skilled artist. If you plan to write a book, draw a picture of a book. If you’re hiring a therapist, draw a picture of a therapist. Stick figures are fine. Create space on your board for what you want to bring into your business. If you want to bring 5 new clients into your practice in the next 3 months, draw 5 empty boxes or circles. If you want to earn $30,000, you can create a thermometer that goes from 0 to 30,000. As you accomplish those goals, you’ll fill in the blanks and color in the thermometer. Leave a space on your board labeled “something else” or “unknown” so that you’re on the lookout for new opportunities. Here's what a goal board might look like. I created this one for a fictional therapist based on lots of folks I work with. This process forces you to choose what you need to accomplish most. When you stick items on a regular to-do list, you might add more than is realistic. When you visualize goals and tasks on your board, you can see exactly how much you’re planning to accomplish. You step out of ambivalence as you choose your goals and map them out on your board. The decisive action of writing out a goal in large letters helps you commit. The board helps you remember what’s important. Working in private practice is isolating. You’ve got some colleagues you can talk to about the clinical stuff. If you’re lucky, you’ve got a few colleagues you can talk to about the business side as well, but no one is holding your business vision with you. With no team members or accountability, it’s easy to let your plans fade into the background. One day you’re excited about some new plans for your business. A few weeks later you can’t remember exactly what you planned, and you can’t find the excitement. Your board can serve as a physical reminder. You’ll still need your to-do list. This goal board will be your inspiration and your reminder. You’ve got tons of everyday tasks that you need to keep track of, and those shouldn’t clutter up your board. Every 3 months, or more frequently if you need to, you’ll create a new board. Hold this planning time sacred. Give yourself plenty of time and space. Light a candle, make some tea or have a glass of wine. This is time for just you and your business. Want more free resources and ideas to build an awesome, unique and profitable private practice? Sign up below and I'll drop something valuable in your inbox each week. I'll never share your email, and you can easily unsubscribe any time. Advice on how to hire an intern in your therapy practice. Three experts talk about choosing the right intern, setting up a contract, handling the finances, and marketing your practice with an intern on board. When I talk to therapists about marketing and running their practices, they often tell me they know they should do certain things they don’t like doing. If this sounds like you, it probably means you’re not fully embracing your strengths. When you don’t embrace your strengths, it’s very hard work to market and run your business, and all that hard work does less than you want it to. You may have heard some of this before, on a surface level. I have said many times that if you’re an introvert, you can focus on one on one networking with a smaller number of colleagues to develop deep relationships rather than spending times at large events. If you love to write, you can build your online presence using articles. If you’ve got a big personality, you can do public speaking. Let's take this thinking to a deeper level. How can you play to your strengths in every activity you do? Here's an exercise to learn more about your strengths and find out you could be using them more. Start by listing the business activities that are easy for you and that bring you energy. 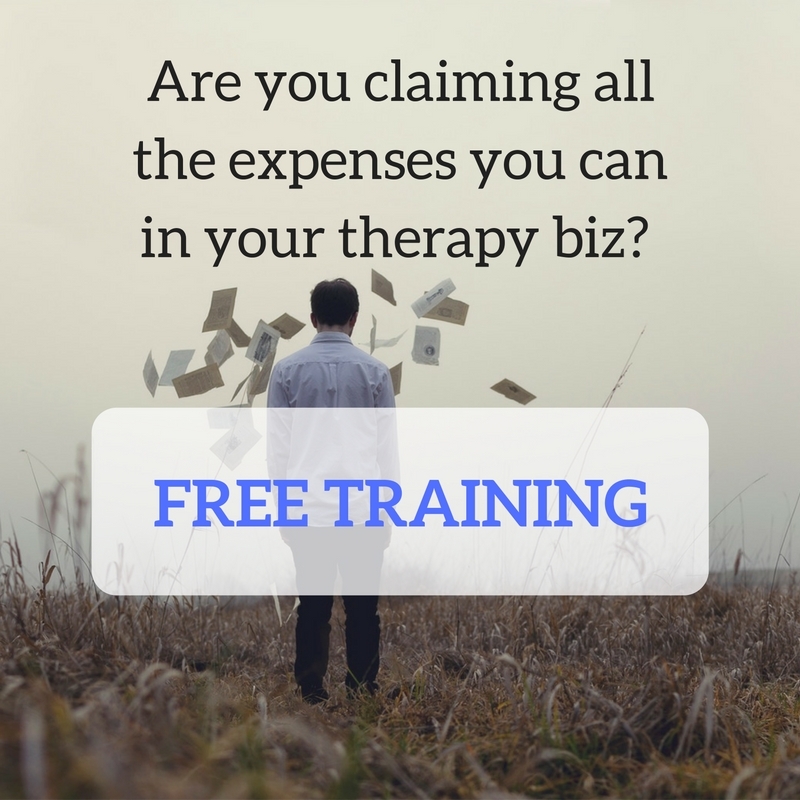 Include anything from balancing your checkbook to clinical work with clients. Now list the business activities that you enjoy the least, and that drain you the most. Again, include any activity you do (or think you should do) for your business. Look at the second list and see which of those activities you could do differently. How could you do these activities while using your strengths? For example, a therapist might feel drained by public speaking because she tries to be charismatic and connect quickly with her audience. Those aren’t her strengths, so she does a decent job, but then collapses at the end. The strengths she uses for one on one networking and in her clinical work are deep listening and consistency. I would help her use those strengths in public speaking and let go of trying to be different that she is. She might create a presentation for smaller groups that uses written exercises in which participants answer questions independently. She might direct them to examine a deeper question in pairs. She might lean on her consistency by giving this presentation several times to different small groups. Look at those activities you like the least and see how you could do them differently, in a way that leans on your strengths. Some activities just can’t use your strengths. For example, if your strengths are creativity and an interest in trying new things, you probably can’t use those in your practice record keeping. Look for ways to minimize those tasks or delegate them as soon as you can. That will free you up to lean even more on your strengths. Is it time to build your practice in a whole new way? Apply for a consultation with me.